If you have a recipe for this product that was successful in schools and would like to share please send it to us! In the Past: The origins of the wild cucumber can be traced back to India, and was spread widely through ancient Greece, Rome, Europe, the Americas, and China. 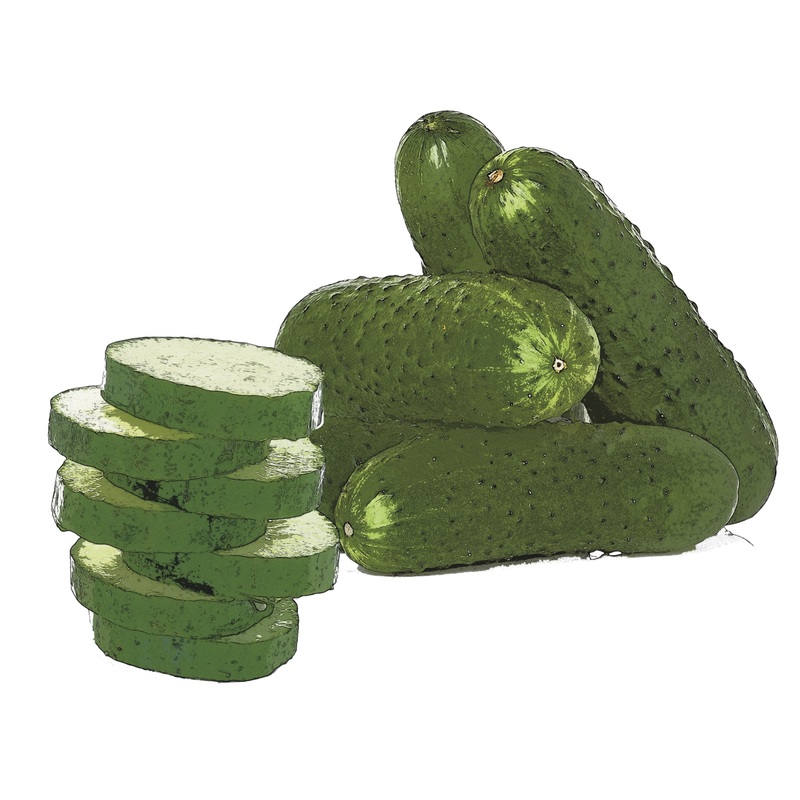 Today, cucumbers still stand as one of the most widely cultivated vegetables across the world. In the Soil: Like other cucurbits (squashes and melons), cucumbers grow on vines that like to sprawl across the ground or creep up trellises using their tendrils. The cucumbers tend to hide under the plant’s large leaves. In the Kitchen: There are 3 main cucumber categories: “slicing” cucumbers are larger and grown to be eaten fresh, “pickling” varieties are smaller (3-4 inches) and are pickled for a long shelf-life, “burpless” varieties are easier to digest with a sweeter taste and a thinner skin. No matter the variety, the whole cucumber can be eaten and they add a great fresh flavor and crisp texture to dishes. In the Body: Cucumbers are about 90% water and offer a notable amount of vitamin K - important to maintain a healthy blood pressure. Other vitamins and minerals found in cucumbers are molybdenum, pantothenic acid, phosphorus, copper, manganese, vitamins C and B1, biotin, and magnesium. In Connecticut: Cucumber season starts mid-June through the end of September.